These compression socks have durable pinch-resistant zippers so you can put them on and take them offwithout struggling. 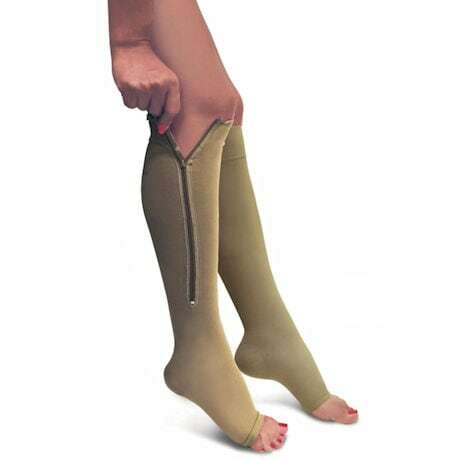 The knee high socks are soft, comfortable, and have 23-32 mmHg. compression to improve circulation, reduce swelling, and relieve pain. FDA listed. Washable. Imported. 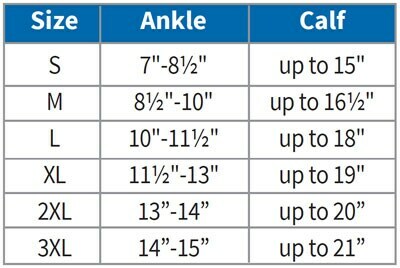 Measure around ankle. 75% Nylon, 25% Spandex.